This publication documents the third cycle review and appraisal of the implementation of the Madrid International Plan of Action and its Regional Implementation Strategy (MIPAA/RIS, 2002) in UNECE member States between 2012 and 2017. 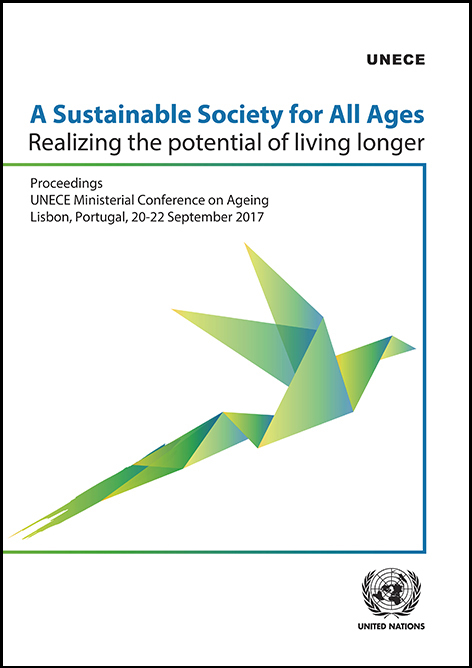 The regional review concluded with the 4th UNECE Ministerial Conference on Ageing held in Lisbon, Portugal, on 20-22 September 2017. The Ministerial Conference, jointly organized by UNECE and the Government of Portugal was attended by over 450 participants, including 46 member State delegations. The Conference Proceedings aim to support the work done by policy makers, researchers, and civil society by providing an overview of where we stand today and of the challenges that need attention.